There is a good reason for a humanoid robot that appeared on Russian television this week to look so human. It was actually a disguised guy. Boris the robot appeared on stage on the opening day of the Proyektoria Technology Forum for students. He blinked with his big green eyes and wiggled like C-3PO. "I understand math, but I want to learn more, how to draw and write music," Boris said jerkily. 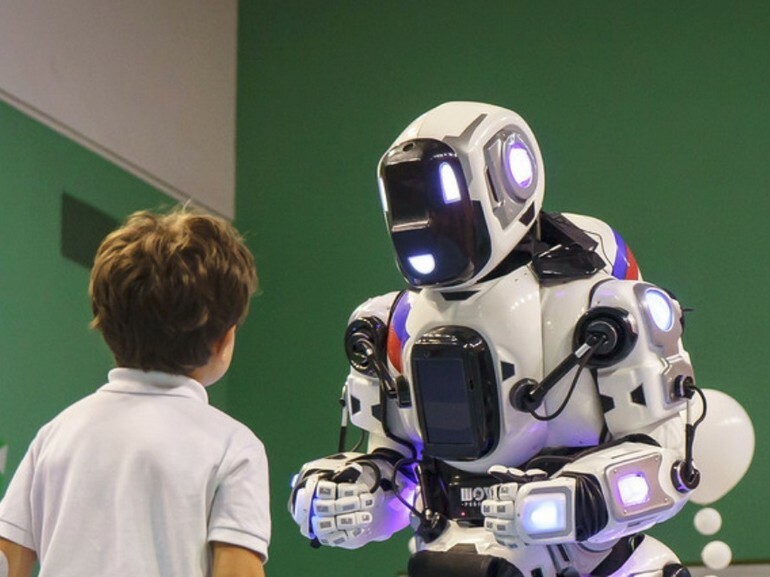 Proyektoria's presenter did not say the robot was real, but in a report, state television Russia-24 suggested that children sitting at this educational fair had the chance to see "one of the most advanced ". Except that Russian bloggers a little curious however found discrepancies. They asked why the robot did not have sensors, why his dance moves were more like a spontaneous human clumsiness and why there was no Internet coverage for such an advanced robot. And a photo revealing a human neck coming out of the robot's head and chest did not help Boris' credibility. To top it off, some clever people discovered by searching on the Internet that it was in fact a costume manufactured by Show Robots sold for the equivalent in rubles of 3,300 euros. Russia-24 returned to the subject, claiming that it had always been understood that Boris was only a man in a convincing suit. "I was absolutely certain that everyone, just like Santa Claus, would know that he was an actor in costume, knowing that the whole project was created for the children," said the host of Russia- 24 quoted by the Associated Press.